We are located near Red River Gorge, Kentucky and Natural Bridge State Park, Kentucky. Modern Kentucky cabin rentals. 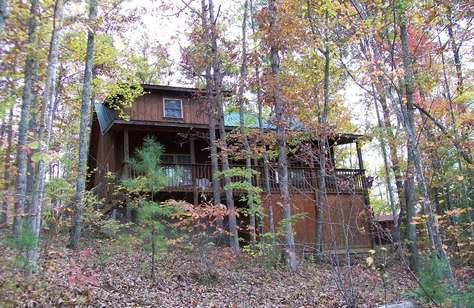 Many cabins in Cliffview Resort, Scenic Heights, Paradise Valley are in the heart of the Daniel Boone National Forest. Whether you are planning a long vacation, or just looking for a few days away from it all, we can help. Family reunions, church retreats, weddings and other large groups are welcome–or you may just be a couple looking to escape the city and enjoy a hot tub ! Honeymooners have enjoyed our cabins in Kentucky for years. Nothing builds bonds like a weekend or week hiking and exploring while staying with us. Cabins are available for small groups of 2-6, or large groups up to 15. All cabins are modern; most with city water, satellite TV, central heat & air, a full service kitchen, modern bathrooms with showers, decks, grills, outdoor firepits and hot tubs. Some now with Internet & pool tables. 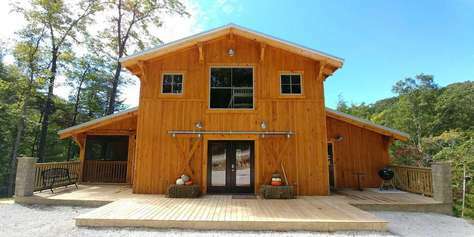 Read descriptions and check off amenities that you desire for list of cabins that meet your needs. Some cabins on gravel roads and hills, those will be marked recommend 4 wheel drive. Nobody offers more complete planning than Scenic Cabin Rentals. 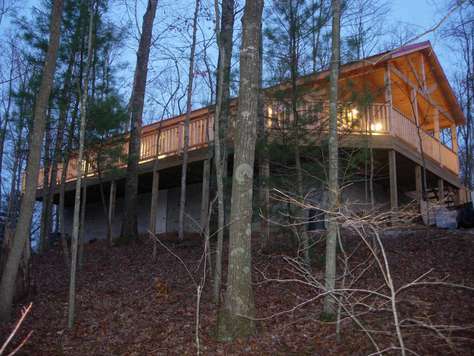 Our ability to match your party with the perfect Red River Gorge Cabin Rental is unmatched. We have years of experience living, exploring, and enjoying the area and all it offers. World class vacations start at Scenic Cabin Rentals. So come on down and spend your next adventure in Daniel Boone National Forest, exploring Red River Gorge and Natural Bridge Kentucky areas while staying in style and comfort. Red River Gorge Cabin Rentals are the best way to spend your vacation! Whether you plan to hike, fish, kayak, climb, zip line or other activities in the area, our cabins are designed to enhance every aspect of your experience. We provide a full list of amenities including everything from air conditioning to hot tubs and pool tables. We have a variety of options available to suit your specific needs. 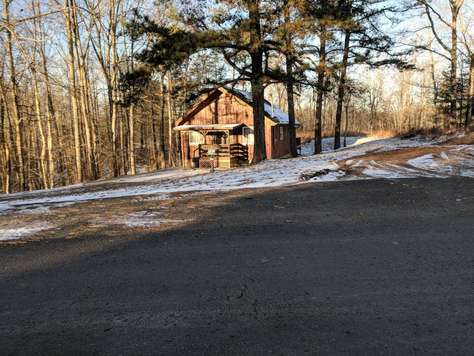 A few cabins have internet if you absolutely have to stay connected , but we recommend giving it up and enjoying the outdoors! From hiking to climbing, our picture perfect cabins in Red River Gorge are designed to enhance every aspect of your adventure. Nothing beats soaking in a warm hot tub and reading a good book while listening to the sounds of nature around you. Whether you are celebrating a birthday, a family reunion or even becoming a family, we would love to be a part of your special day. These cabins will forever hold a place in my heart and in my memories. For many years my friends would rent out these cabins for climbing trips, bachelorette parties, girls weekends, and festivals. I love the area and we always have a great time. Every cabin we have stayed in has been clean and comfortable, I have recommended this company to anyone looking for a fantastic get-away. Again, so many wonderful memories. Pictures don't do justice to this gem of a property. It is so accommodating with its multiple bedrooms, sleeping options, and bathrooms. Easily slept 3 families with 9 guests. Stunning inside and out. Very clean and well appointed. We will make this cabin a yearly destination. My wife and I, along with a friend, recently stayed with Scenic Cabin Rentals for a weekend. We've stayed in area previously, with different companies, but this one by far was the best. You can tell they care about your experience, which is key in getting returning guests. We stayed in the teepee rental, it was amazing, cannot stress how nice this place is. Had a great time hiking the Red River Gorge trails, as well as enjoying the "cabin" itself. The hot tub and charcoal grill are great additions. We thoroughly enjoyed our weekend and plan on making another trip down in the next few weeks. Thanks for everything!